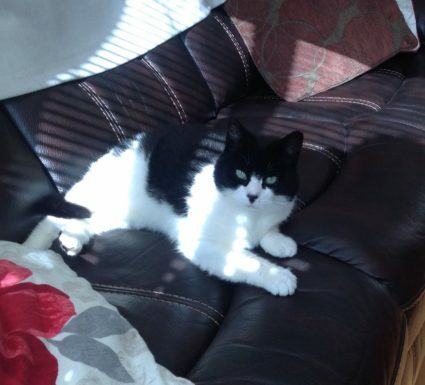 Lost black and white female cat age 14yrs, missing since Wednesday 6 Feb 2019 from Bramblefield area of Clonee Dublin. She is also “blind”so am really worried for her safety. She is possibly hiding in gardens or shrubbery. She is generally very friendly but due to her blindness and now been lost she may now be very distressed. We don’t think she would have wandered too far so please keep an eye out and contact Teresa 086 3942913 if you find her.